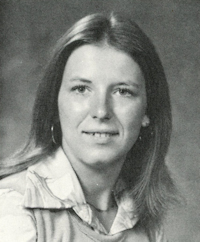 Obituary – Groom, Rita Lynn (Workman) « Perry High School Alumni Association, Inc.
Rita Lynn Groom, a lifelong resident of Perry, OK passed away peacefully on Saturday, October 29, 2016 at St. John’s Medical Center in Tulsa surrounded by her loving family. She was 57. Funeral Services have been entrusted to Palmer Marler Funeral Home of Perry. A celebration of Rita’s life has been scheduled for 10 a.m. Wednesday, November 2, 2016, at the First Baptist Church in Perry, with Pastor Kim Hayes officiating. Interment will follow at the Grace Hill Cemetery. Her brothers will honorably serve as her casket bearers. Public visitation will be 9 a.m. to 8 p.m. Tuesday, November 1, 2016 with family receiving guests from 6-8 p.m.
Rita was born February 13, 1959 in Perry, OK to Billie Dean and Patricia “Pat” (Pricer) Workman. She graduated from Perry High School in 1977. Later that year, she and Duane Groom were married on November 17, 1977 in Perry. She loved spending time with her three rescued yorkies, Axle, Teague, and Max, gardening and working in her flower beds, frequenting garage sales, and vacationing with Duane. Family was very important to Rita. 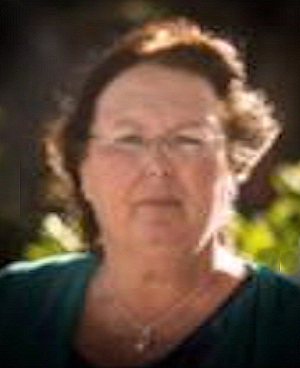 She dearly loved her children and two grandsons, Colt Dean and Ruiz Ochoa. Always making time for family events, Rita loved spending time with her nieces and nephews, never missing an opportunity to be with them. She had worked for Grace Hill Cemetery and ODOT during her working years, but her greatest and most enjoyable job she had was being “Nana,” not only to Colt Dean Feken and Ruiz Ochoa, but many other kids around town. Rita is survived by her loving husband Duane of the home. Two sons; Michael Groom and wife Emerald of Oklahoma City, OK, and Matthew Groom and wife Kassy of Perry, OK. One daughter, Melissa Feken and husband Josh of Perry, OK, and grandsons Colt Dean Feken and Ruiz Ochoa, who were the light of her life. Four brothers; Marc Workman and wife Rhonda of Elgin, OK, Mike Workman and wife Guyla of Perry, OK, Marvin Workman and wife Paula of Oklahoma City, OK, and Rob Cockrum of Ponca City, OK. One sister, Pam Workman of Oklahoma City, OK. She is also survived by numerous nieces and nephews. She was preceded in death by her parents, and one sister, Debbie Workman. In lieu of flowers, memorials may be made to the Perry Humane Society in care of Palmer Marler Funeral Home, 203 Fir, Perry, OK. 73077.